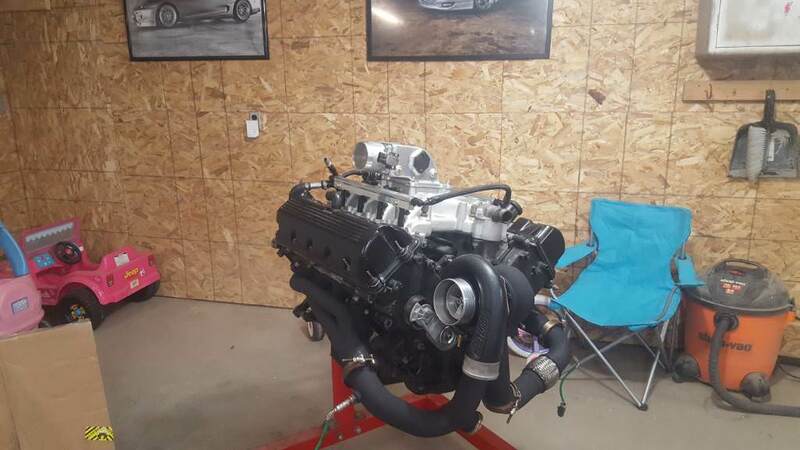 I dont post much on here but this winter Im happy to be switching my car over from my V3 Vortech over to a Precision 7675. Using a CG Fab Race hotside. This year with the blower the car made 520rwhp and 440tq at 14psi and 93 pump. Major changes this winter will the turbo kit, some major weight reduction, Manual brakes and steering, and switching over to E-85. y2k02, tg1227, 5rand0n7 and 1 others like this. 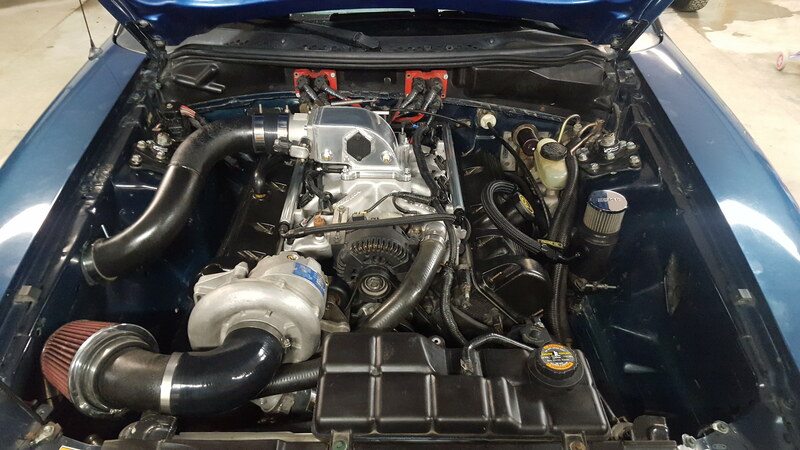 Clean engine bay. 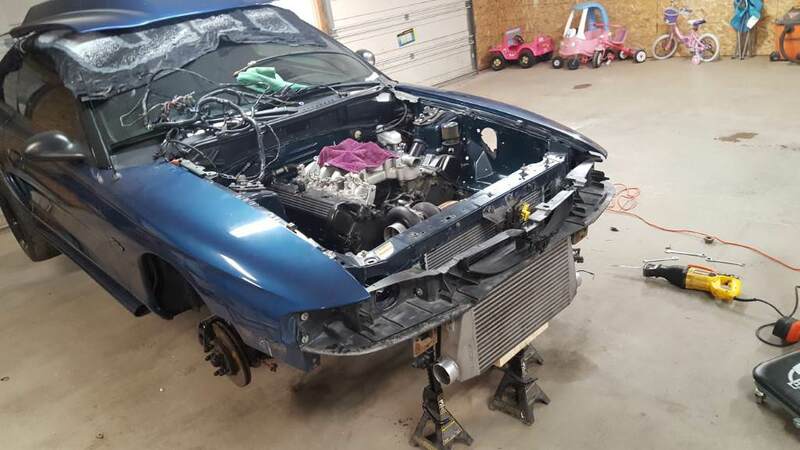 What coil pack kit is that? Did you delete the a/c system? It's just some msd packs that I relocated to the back firewall. Ac has been completely deleted. Welcome to hell LOL i mean the turbo club. 98SnakeHorse and Chandler Hunt like this. had i kept my car blown. My car would have been driveable for nearly everyday of the last 3 years. Since i went turbo. Its probably been on the road 4-5 months in the last 3 years. Should be different this coming season though. I hope I get some drive time out of it lol. It's not a daily at all by any means but I hit a lot of track events every year and enjoy the occasional drive to work. You will, not every project has the same hurdles. 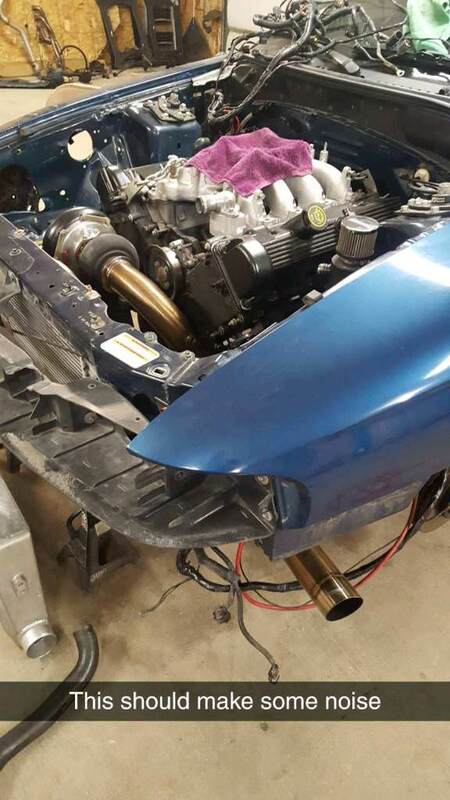 It will be stupid fast compared to the blower. Thats what I hope. Its been high 6's on the old setup. Hoping for low 6's next year. More turbo mockup fun. Getting the rad and fan where I want it. Looks like I will have plenty of room for everything now. 5rand0n7 and Chandler Hunt like this. The housing was touching the rad fan if I would have kept it in the facotry location. Even tighter wth the ptp blanket. Also might as well make room for bigger and better things in the future right? The way I have it now the radiator will be pretty well hidden too. 5rand0n7 and Ares like this. I moved my stock rad to same place as I didn't like how close housing was to fan. Except I just cut lower mounts off and then notched lower support. Then reused the lower mounts by welding them 2" forward into support. Cut out the entire top of rad support and used 3" and 2" 1/8" plate to rebuild it. Then modified stock upper mounts to get held in with a single screw from back side. Like you found it gives a ton of room for turbo while still being able to use stock replacement parts for rad or fan if need be. Plus it is a ton cleaner looking now. Looking back I should have just bent up some round tube and replaced lower area. I suppose I still can but it's done for now. Yep thats exactly what Im doing. Chopped off the lower core support, drilled two holes underneath the top of the factory rad mount so that the plastic tabs slide into. Will be fabbing up a lower tubular support and will also act as a mounting point for my fmic. Got any pics of this to share? I thought about going that route when I did mine. To do it that way the radiator will sit lower than the bottom of core was. My car sits very low in the front and the core had already been bent to hell from objects hitting. I cut holes to put lower rubber bushings into the support and notched out the core to fit bottom of fan shrowd. 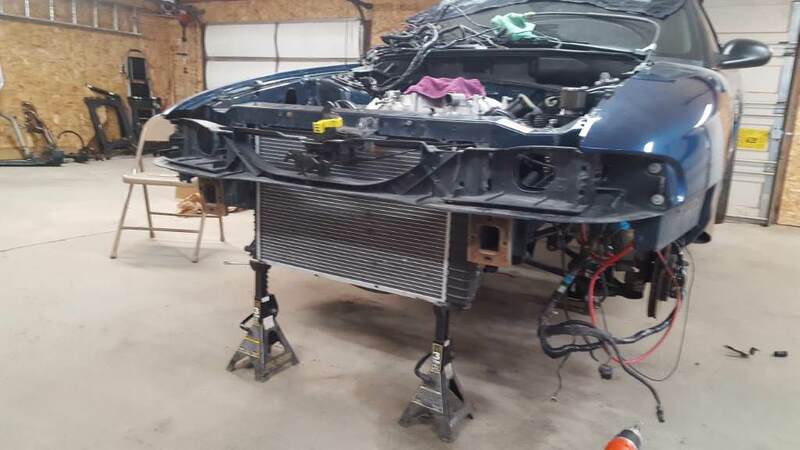 This will raise the radiator about an 1 from stock location. I plasma cut top part of the support from 3 inches to 1 inch just in the area to fit the width of radiator. I ordered some universal top mounts from American muscle and modified them and used self tapings screw to secure it to the core. Dont forget to use rubber insulators on the top and of the radiator or it will crack. Yeah the radiator is quite a bit lower than before but I think it should be alright.. I will be putting rubber insulators in the holes I drilled for final assembly to prevent the rad from cracking.